Verbo Computers News: Malware on my Computer? Here at Verbo Computers, we regularly see customers with issues from malware and general programs on their computers that really cause their PC to slow down. These programs may not always be as malicious or just to get money from you. Sometimes malware just sits on the computer and uses up valuable memory, hence it becomes a piece of software not required and really only hinders the day to day running of your PC. Now I can here you eagerly ask; How do I find and remove these myself? or how do I know if I have them on my computer? The easy thing to do if you are an advanced user is go to your programs and features (add remove in XP) browse through and click to uninstall any programs on the bulleted list below. Oh no, I hear you cry where and what is Programs and Features? How do I do that? I need a simple step by step guide? 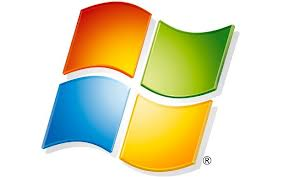 However if not, choose from either the XP Users or Windows 7 or 8 instructions get your Computer back up to its useable speed again. Left Click on control panel. Now look down this list and check if you have any of the programs from the full list at the bottom of the blog. If you found any left click on the uninstall button to the right. Press your Windows key and just type Programs and Features, you may see this appear in the list above before you finish typing it, just left click on it. If you found any left click on the uninstall button at the top. Bubble Dock - Check when you un install this ask you to agree to more to be installed. Uncheck all items and don't agree. We would also advise to download a free malware checker, the best tool we find is Malwarebytes. If you have any concerns Verbo Computers will happily take control of your pc remotely or in person and remove them for you.